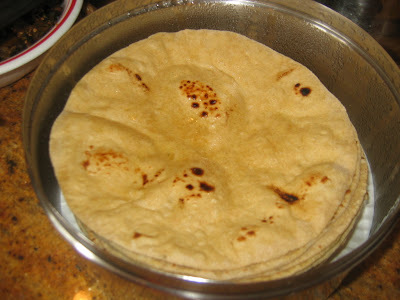 How to make soft chapathis? I tried the chapathis the following way and out came out soft. 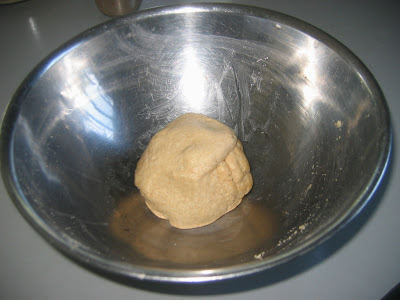 Mix flour, salt oil in a bowl and add water slowly and mix the flour to make a dough. Divide the dough into small balls.Roll the dough into thin round shape. Heat a tawa and place the chapathi let it change the colour then turn it to the other side..small babbles appear. Remove it and put it directly on the high flame. With in a minute the chapathi starts to puff fully . Remove it and apply ghee. This type of chapthis are called phulkas.